Familiarise yourself with our range of Creative Business Cards with this Sample Pack. Including business card samples of our most creative substrates, use this unbranded pack as a sales tool to upsell your clients to more premium materials. Artwork is not required, simply add to basket and we’ll send your unbranded Creative Business Card Sample Pack to you within a couple of days. Confidence is key when discussing your product range with potential customers. Convince these prospects that their projects are in capable hands with good product knowledge. 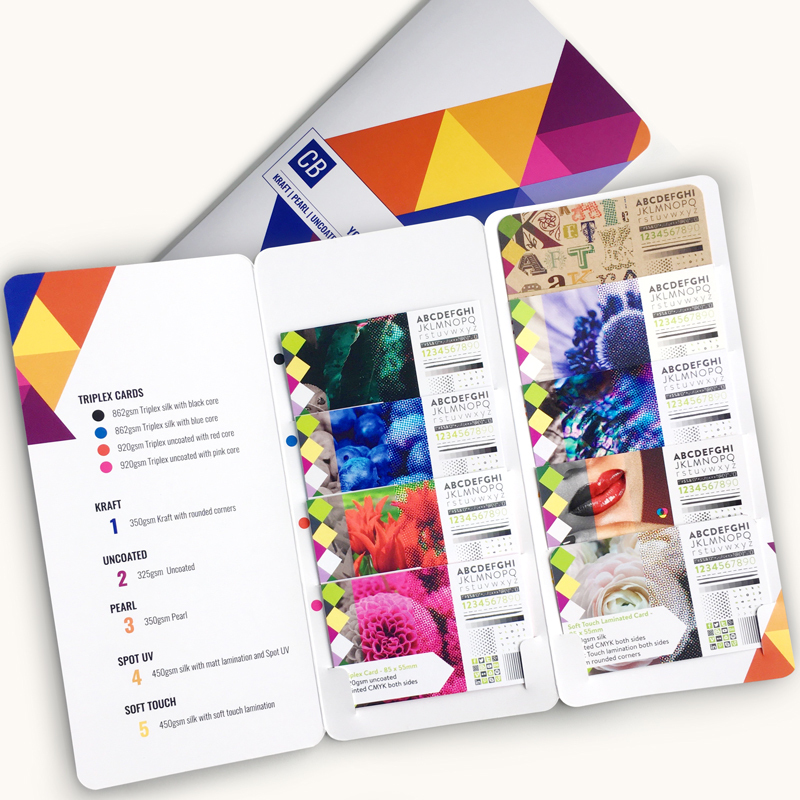 Use our Creative Business Card Sample Packs to get to know each substrate and talk about them with ease. Order multiple packs to leave with your customers to strengthen your sales pitch. Upsell to more premium finishes, such as super thick Triplex cards, or a beautiful Spot UV finish, and increase your profits from each job. 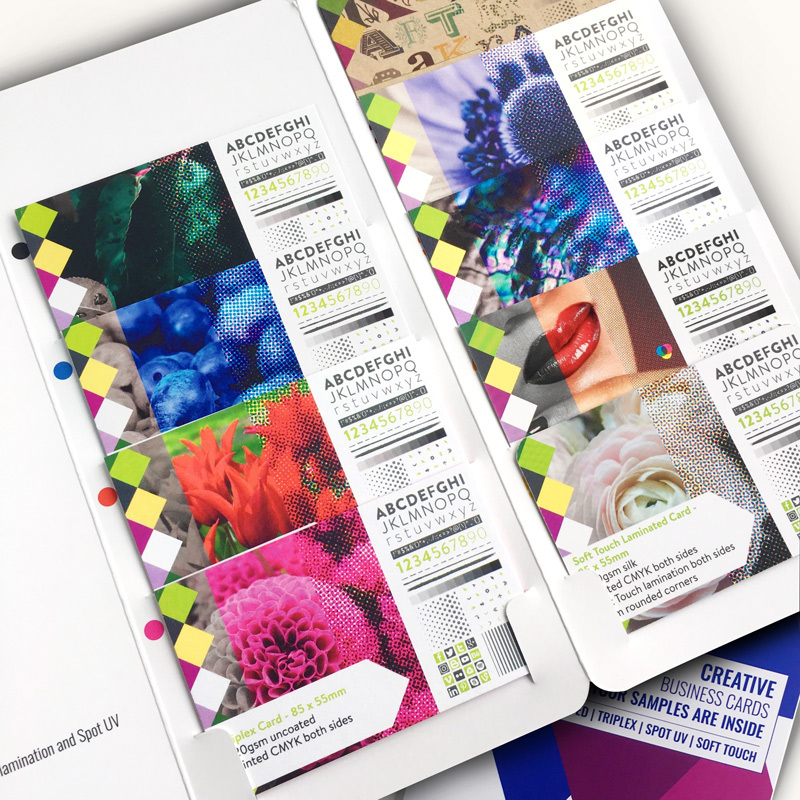 Sample packs also demonstrate your print quality, so the customer can rest assured their work is in safe hands. This Sample Pack is unbranded, and arrives ready to show your clients. Delivery is free and limited to UK addresses.